This guide is a starting point for locating EMT and Paramedic-related books, videos, journal articles, images and credible websites. Use the tabs below and the menu on the right to research, locate, evaluate and cite resources. If you need additional help, stop by one of our Reference Desks or contact a reference librarian. Search the Library catalog for relevant EMT/Paramedic topics such as: Anatomy; Ambulance drivers; Emergency medical personnel; Emergency medical services; Emergency medical technicians, Emergency medicine; Medical emergencies, Pediatric emergencies; Physiology; or Rescue work. Need help searching our Library Catalog? Another strategy is to search by call number. Health-related materials are shelved in the "R" section of libraries that use the Library of Congress classification system. EMT/Paramedic books are located in the following call number ranges: RA 645.5 - 645.9 Emergency Medical Services and RC 86 - 88.9 Medical Emergencies, Critical Care, Intensive Care, First Aid. You must have a valid College of DuPage library card to access these video databases from off-campus. a collection of full-length streaming videos. A wide-range of disciplines are included. Most useful to EMT/Paramedics is the Health & Health Care collection. Also included in the subscription are full transcripts of each video program that are keyword searchable, easy playlist and clip making functionality, permanent embeddable URLs for easy use in online courses. Nursing Education in Video is an online collection of videos created specifically for the education and training of nurses, nursing assistants, and other healthcare workers. All of the videos in the collection have been created with the guidance of the Medcom-Trainex advisory board, and are regularly reviewed for accuracy, currency, and compliance with US Federal regulations from agencies such as OSHA and CMS. Remember that additional DVDs, CD-ROMs and multimedia resources can be found by searching the COD Library catalog. Use your COD Library card to check these items out for in-library, home viewing, or online access (depending on availability). 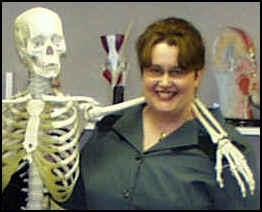 Anatomical Models are available at the Library circulation desk. For even more assistance with anatomy & physiology, check out the COD Library's Anatomy & Physiology Research Guide! The Library provides access to many online article databases that will help you locate journal, magazine, and newspaper articles. You can search by keyword, subject, author and title. Care Notes helps medical professionals educate patients and their families about certain conditions. Contains 2500 English and 2500 Spanish documents that address patient condition, treatment, follow-up care, psychosocial issues, continuing health, and the most frequently administered drugs. The online version of Cumulative Index to Nursing & Allied Health Literature, CINAHL Complete covers nursing, allied health, biomedical and consumer health journals, publications of the American Nursing Association, and the National League for Nursing. It now includes the CINAHL Thesaurus and full text of over 1,300 important nursing and clinical journals as well as over 130 Evidence-based Care Sheets; nearly 170 Quick Lessons providing Overviews of Disease and Conditions; 170 Continuing Education Modules; and full text for 360 Research Instrument Records. Learning Express Library provides a completely interactive online learning platform of practice tests and tutorial course series designed to help patrons, students, and adult learners succeed in the academic or licensing tests they must pass. Features include immediate scoring, complete answer explanations, and an individualized analysis of results. Includes tests such as GRE, TOEFL, ASE and GED. A variety of math-related exams and tutorials are available. Indexing and full-text of 175 journals in science, chemistry, nursing, biology and other related disciplines. ANYONE can put information on the Internet. As a health care provider, you must carefully select and evaluate health information before using it to treat patients or letting it influence how you perform your duties. Use the evaluating sources page to help you determine the credibility of Web sites. A great test is to ask yourself, "Would I want myself or someone that I care deeply about to be treated based on this information?" If the answer is "no," don't include the information in your academic projects either! An online clinical reference providing in-depth drug & disease information and tools to support clinical decision making. Content is designed for practicing medical professionals and includes diagnostic medical images. Free Registration to MedScape is required. To avoid registering and go straight to an entry in this resource, try Googling the word emedicine and your disease/condition (i.e. emedicine pertussis). The following websites have been recommended by faculty and the health science librarian as useful for student assignments and professional practice. JEMS seeks to improve patient care in the prehospital setting and promote positive change in EMS by delivering information and education from industry leaders, change makers and emerging voices. With a rich tradition of editorial excellence and an unparalleled consortium of subject matter experts and state-of-the-science content, JEMS fulfills its commitment to EMS providers, instructors and administrators through all media channels including online and print. The MedicCast is a podcast for EMT’s, Paramedics, and other medical professionals. The podcast covers news and commentary, tips and tricks, and much more. NHTSA's mission is to save lives, prevent injuries and reduce economic costs due to road traffic crashes, through education, research, safety standards and enforcement activity. PHMSA’s Office of Hazardous Materials Safety carries out a national safety program, including security matters, to protect against the risks to life and property inherent in the transportation of hazardous materials in commerce by all transportation modes. OSHA creates and enforces workplace safety standards. 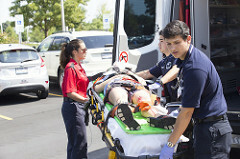 The first online video community for Paramedical Personnel and Emergency Medical Service departments nationwide, ParamedicTV.com offers members of the fire and rescue community a full-featured, interactive environment to view and upload an unlimited number of industry-focused videos. Similar to EMS1.com, ParamedicTV features sections focused on key Emergency Medical Service topics, video tips and training segments, as well as a growing product demo/virtual trade show video section. Whether you are giving an oral presentation or completing a written assignment, it is very important that you give credit where credit is due (cite your sources).